I had the opportunity to write a book (in French) on EJB 3. 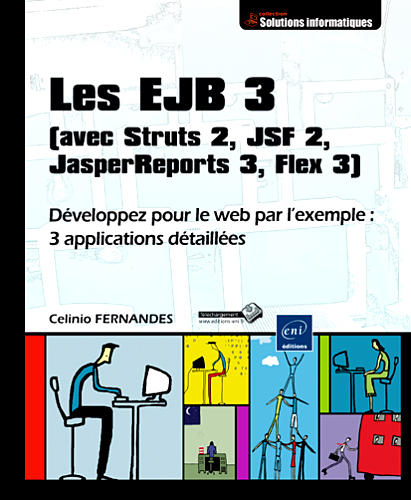 I explain how to develop 3 web applications using different technologies (Struts 2, JSF 2, Flex 3 and JasperReports) for the front end and with a common business layer developped with EJB 3. The application server used is JBoss 6 and the IDE is Eclipse. GraniteDS is the solution that is used to integrate Adobe Flex with Java. You can order it online either on Amazon or the editor’s web site : ENI. An online version is also available. You can read reviews of the book here.